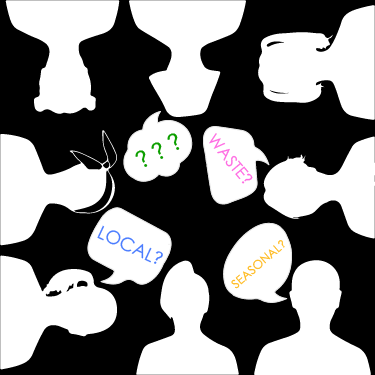 What is local food? Have you ever seen any? Apples in your grocery store are sometimes picked months before they reach your kitchen! Local food is food produced locally (within a 100+ or - mile radius) by resident farmers and neighbors. Sometimes local is defined as food that is grown and processed within a state or region. Local foods include vegetables, fruits, jams, jellies, honey, meats, eggs, milk, cheeses, bread, desserts, and much more. Local foods represent local micro-economies that support people and towns, villages and cities with cultural production of specialties. While many foods like dairy products, eggs, cheese, and bread are available almost everywhere, different places have different traditional recipes for specialty items. Buying local food supports micro industries and the establishment and continuation of site-specific traditions. Also, there are sustainable benefits to buying and eating local food. One obvious perk is fresher tasting food. Buying local helps support your community and its farmers. Your encouragement creates social interaction around food, food production and commerce and the people and farms involved. Buying local products is far better for the environment as it requires much less energy to transport food locally than across the country or around the world. Activity 1 – Where in the world? Look in your kitchen. Start in a cupboard that stores boxed and canned food. Make a list of everything in your pantry. Move to the refrigerator and make a list of items and place of origins. Where do fruits, vegetables, dairy, and meats come from that you eat? How much is local? What percentage of it is from outside your state? What percentage is from outside your country? Do you grow any of it at your home? Use a world map to plot where in the world your food is grown. Add a bar chart that shows the origins- homegrown, local, state, region, national and international of the food you eat. What do you think about the distance your food travels to reach you? Find at least ten foods grown or produced where you live, and chart on a city map where they are grown and produced. Illustrate or collect photos of these ten products and make a poster of locally produced foods. What do these local products tell you about the culture of your city? 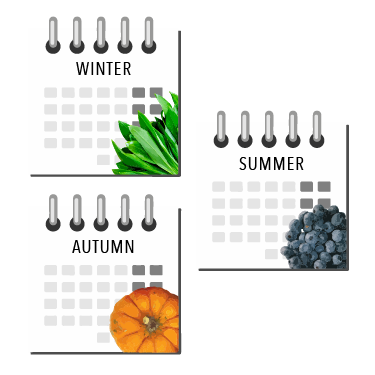 Find at least ten foods grown or produced where you live, and chart on a calendar when they are ready to be eaten. 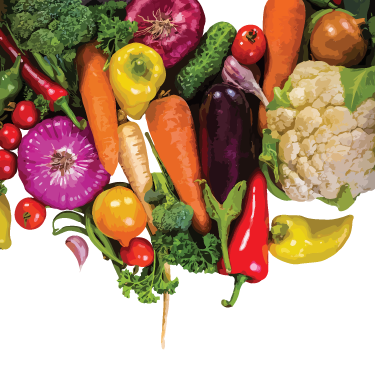 Illustrate or collect photos of the ten products and make a poster of locally produced foods. 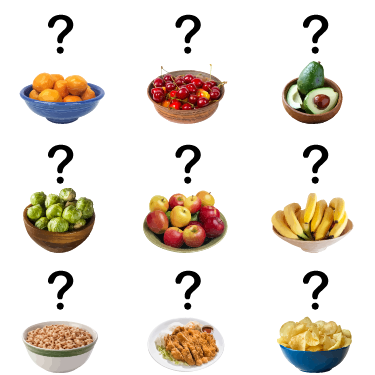 As you are making your chart, think about whether you eat these seasonal foods. If you do not, try to change your habits to include at least one product produced locally. each season. Create a survey to find out how many people in your communities are thinking about actively finding and purchasing local foods. Discover if they think buying local is necessary, and if not, why not. Did you ever consider growing or making a food product yourself as a source of income? Until the 1950’s many people living in cities produced their food, harvested fruit from trees, and accessed milk products from goats. What food or food-based product could you make from your home? Homemade cookies and candies? Breakfast cakes? Soups? Sandwiches? Preserves or fruit pies? Fresh Apples, Cherries, or Nuts? Activity 6 Importance of local food production Watch Eat Local Eat Real Canada video and take notes about the impacts of food importation over production. What changes occur in land use, jobs, and culture of a community when importing food and food products increases? Now it is your turn to imagine the eco food restaurant of your dream! What will it look like? What will it serve? What will be its experience? What will people learn and understand by eating at a restaurant that serves locally grown and prepared foods? In the 70’s these kind of restaurants were called Health Food Restaurants because they served alternative foods to the typical fare. You can pick any of these ideas as starting points. Start taking notes and making sketches of ideas in your journal. What could you do to improve the fast food experience? Could you actually grow food on site? Could you host a farmer’s market? Could it be a Food Coop? Could people actually sit in garden environments with fresh air to breathe while eating healthy food? Could your decor include a map showing locations of local farms that produced the food that is served? Could there be pictures of what is organic and composted and what needs to be recycled? Could there be goats grazing on a green roof? Could bikes replace cars? What would you serve? How would it be delivered? So many things to think about! Processed foods are also local foods if prepared locally. Seasonal food is best consumed or processed in or shortly after the season they were grown. Local foods can be found at the grocery store or at the farmers market. Fruits, vegetables, honey, and jams are examples of local foods. Buying local food is worse for the economy and the environment. Food Tank Shaking up the food system!